Welcome to Mindfully Integrated Health! Mindfully Integrated Health is a boutique psychiatric practice in Scottsdale, AZ providing psychiatry and counseling services in a comfortable and peaceful setting. We offer full diagnostic evaluations with a comprehensive treatment plan that may include medications and/or therapy. We also specialize in interventional psychiatry through the use of TMS (Transcranial Magnetic Stimulation) in partnership with Lighthouse Advanced TMS Center, as well as Ketamine infusion therapy. Our providers at Mindfully Integrated Health focus on providing care in a style that encompasses whole body wellness. Our goal is to help you become holistically sound from the top down, achieving balance of mind, body, and spirit. Our staff is here to help guide you through the process of improving your mental health. 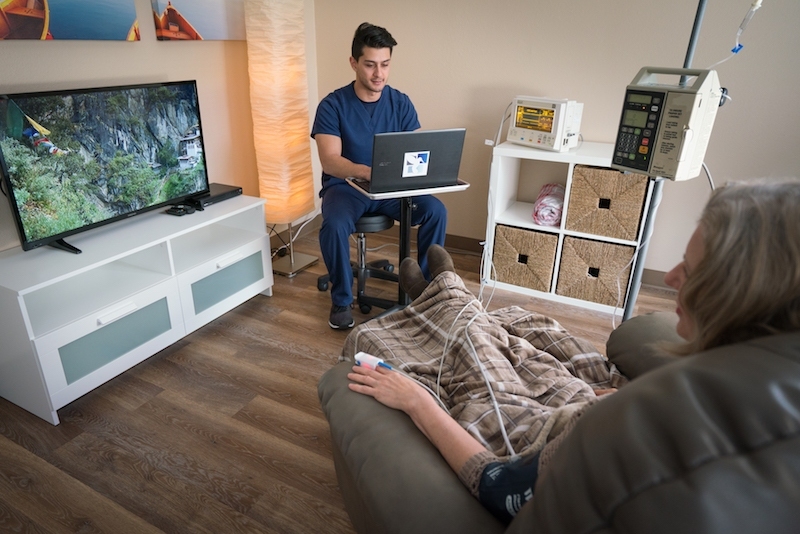 Our providers are excited to team with Lighthouse Psychiatry Advanced TMS and NeuroStar Advanced Therapy to provide TMS therapy in north Scottsdale! TMS is a non-medication alternative treatment for those patients struggling with treatment resistant depression (a fancy way of saying depression that has not responded to conventional medication and counseling). NeuroStar TMS has been clinically proven to provide improvement in symptoms in over 60% of patients treated with TMS and can produce full remission in 1 out of 3 patients. Treatment resistant depression is a chronic condition that can be complex to treat. TMS offers another tool to improve the quality of life for many patients. In addition, TMS can be used in the treatment of obsessive compulsive disorder, anxiety, bipolar disorder, and post traumatic stress disorder. Visit NeuroStar or Lighthouse Advanced TMS Centers for more information or give us a call today at (480)565-6440! Every year, it is estimated that 13 - 14 million Americans suffer from major depression. Of those who seek treatment, 30% to 40% will not get better or fully recover with standard medication management. This is referred to as treatment resistant depression. Untreated or poorly treated depression puts the individual at greater risk for substance abuse, hospitalization, or suicide. Ketamine infusion therapy has been shown to be successful in treating patients suffering from major depression, bipolar depression, postpartum depression (PPD), obsessive-compulsive disorder (OCD), posttraumatic stress disorder (PTSD), generalized anxiety disorder (GAD), and chronic pain syndromes like complex regional pain syndrome (CRPS). Ketamine acts by binding receptors in the brain and acts to enhance the production of neurotransmitters, such as serotonin, which in turn alleviates depressive symptoms. Ketamine effectively "re-wires" the brain, resulting in an antidepressant effect that is significantly different from the traditional antidepressant medication, which may reduce the need for other psychiatric medications. Mindfully Integrated Health offers Genetic testing! As part of our ongoing efforts to provide the best care possible to our patients, the providers at Mindfully Integrated Health have teamed up with Gentox Medical Services to provide pharmacogenetic testing. This new and ever developing area of medicine goes by the name Personalized Medicine (also known as Precision medicine, individualized medicine, or genomic medicine). We pride ourselves on having that personal relationship with our patients so adding this testing to our toolbox just makes sense! There are no needles involved – just swab the inside of your cheek, mail the paperwork and swab to Gentox, and wait for the results! Check out their website for more information. Just click Gentox!